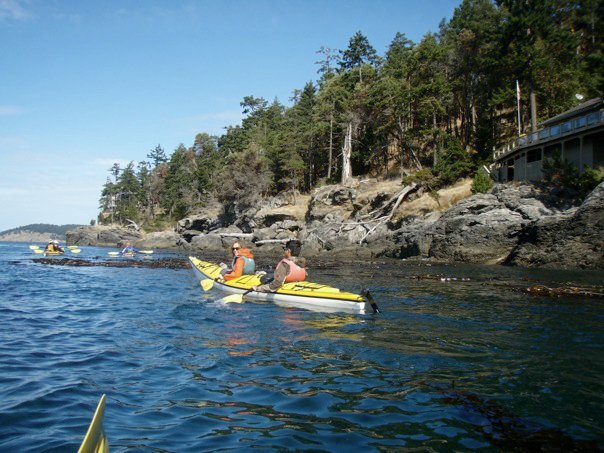 Kayakers take advantage of nice weather to paddle in Puget Sound. Photo: DNR. With the arrival of spring, you may be anxious to get out on the water and play! However, there have been many close calls due to the chilly spring runoff in rivers and the unpredictable weather in the Sound. Dress for the occasion. On a sunny day, a dip in the cool water might not sound like such a bad thing, but hypothermia can set in after only minutes of exposure. A wetsuit is a great way to stay safe and comfortable. If a wetsuit isn’t an option, wool clothing insulates better than cotton when wet. Practice self-rescue. In the event that you end up in the water unintentionally, being able to get back into your boat in deep water is imperative. Practice self-rescue in safe water before heading out. Be aware of off-shore winds. 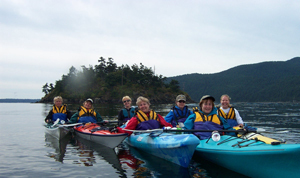 When kayaking in open water, make sure to pay attention to off-shore winds that can make the paddle back to shore difficult. Paddle with a partner. If you kayak with a buddy, you’ll always have someone there in case of an emergency… plus, it’s much more fun. Always wear your PFD (personal floatation device). The most important thing to remember is that PFDs save lives. Don’t paddle without one. If you operate a motor boat, you’ll need to get your Boater Education Card from State Parks. Remember, be safe and have a great time on the water! Do you have any water safety tips? Please send your comments to recreation@dnr.wa.gov. Find waterside recreation sites for DNR-managed lands, recreation rules, opening and closure information, and more on our Recreation web page.